The crocodile skin is considered as one of the best options to carry the classic look. The leather of crocodile skin is beneficial for every type of fashion accessories whether if we talk about hats, bags or boots. Mostly crocodile skin is famous all over the world for handbags, wallet, belts exotic fashion items. As leather is famous for its softness, comfortability and classic look but price factor cannot be ignored. The crocodile leather is one of the most expensive leather of all the time. 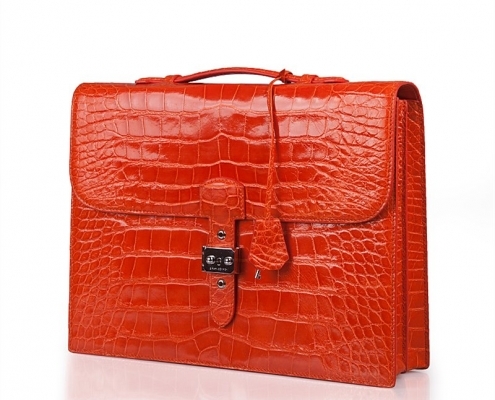 If you purchase a crocodile leather bag for $100, that will visibly show doubtless in that material. 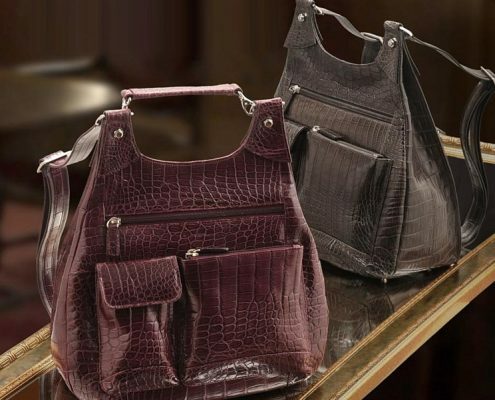 The crocodile skin is soft and considered as most exquisite leather for handbags because of the scale pattern and stunning texture suits on any type of apparel like business to summer look. 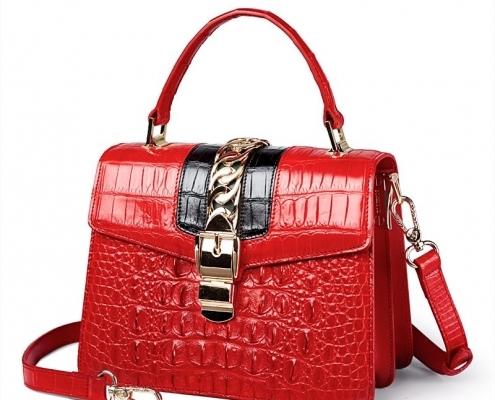 For the last two years, BRUCEGAO crocodile purses are on fire as compare selling of this purses for previous years. the designs of these bags are tough to handle because many clients demand bold and extraordinary handbags, which would be completely different from previously introduced leather handbags. 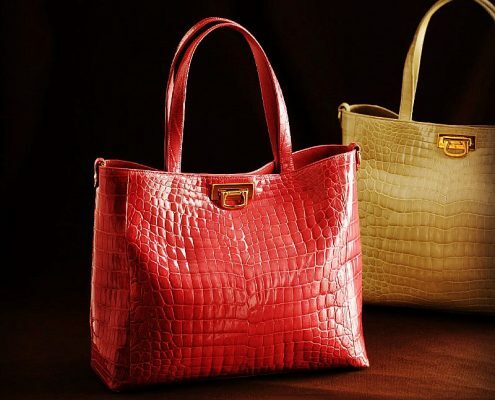 Why do ladies demand crocodile leather handbags? Softness and comfortability of BRUCEGAO crocodile handbags make it distinct from other leathered bags. 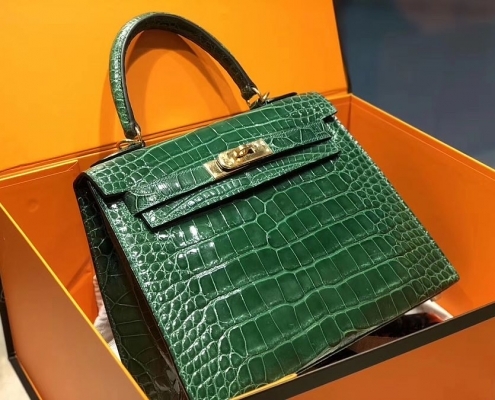 There are many fashion designers who are working on BRUCEGAO crocodile purses for the comfortability and its carrying along with continuous changing design pattern for the convenience of the users. BRUCEGAO crocodile handbags are classy and fashionable. Designers are designing these bags in such a way that they can be carried with any look and attire. They are decent and evergreen in carrying. These bags will suit on every occasion. Guys Isn’t it cool? The color ranges of these bags are vast, and the best part is these bags can be made on orders as well. This is the reason ladies are loving it! 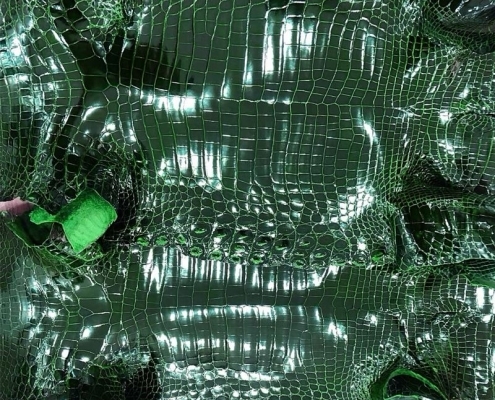 BRUCEGAO crocodile handbags are durable and strong. They cannot be easily damaged and designers designed in the way that durability of these crocodile skin product will endure the same. This is one of the reasons that price of these handbags is high. 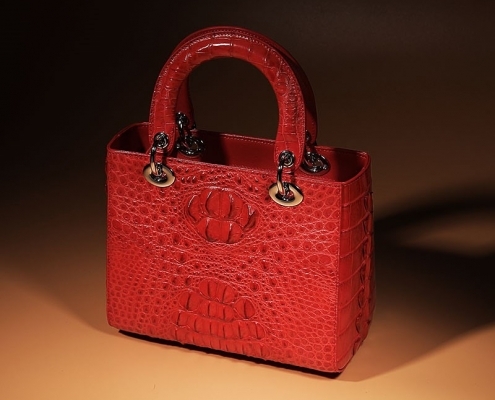 Not just handbags, each and every item of crocodile leather is expensive. The average worth of these handbags starts from $1300. As BRUCEGAO crocodile handbags are trending these days but the arrival of products on market regarding crocodile skin was from 1940’s. That time handbags were not famous but other items like boots and belts were more common. Now, these classic and vintage handbags can easily find out in the market as the satchel bags, clutch, the cross-body bags, evening clutches, straw basket bags, medium size shoulder bags, the chic tote bags, iconic bags, color bags, and the casual day bags. These are the types of bags, that most ladies orders according to their preferences. Recommended Fashion Crocodile and Alligator Skin items: alligator briefcase, crocodile belt, crocodile bag, crocodile handbag, crocodile wallet, alligator handbag, alligator bag, alligator wallet, crocodile leather jacket, alligator leather jacket, crocodile shoes, alligator shoes, crocodile backpack, alligator iPhone X case, crocodile iPhone X case.